After being puzzled by the cozy, bland, and formulaic nature of Netflix’s The Good Cop, most critics have concluded that the show is targeted towards a middlebrow audience that is nostalgic for a simpler era. Tony Danza plays the father/bad cop to Josh Groban’s son/good cop, they eventually solve the homicide case that comes their way, and a comforting jazz score takes you back to the aesthetics of a time when network TV stations did not have to work very hard to maintain their viewers’ attention. However, Variety’s chief TV critic Daniel D’Addario’s assessment that the show is “studiously inoffensive” is not entirely true. Whenever Asian American characters appear – in brief and marginal roles – they consistently reinforce Hollywood’s longstanding sexual racism. Asian women appear as potential romantic/sexual interests for the white male characters, while Asian men are decidedly non-sexualized. Tony Caruso Sr.: Great news. I talked to Junior. He says you can go with him on tour as his ball boy. Tony Caruso Sr.: It’s like a caddie, except for bowling. Ryan: I already have a job. Tony Caruso Sr.: I took care of that. I called the department. You’re on paternity leave. 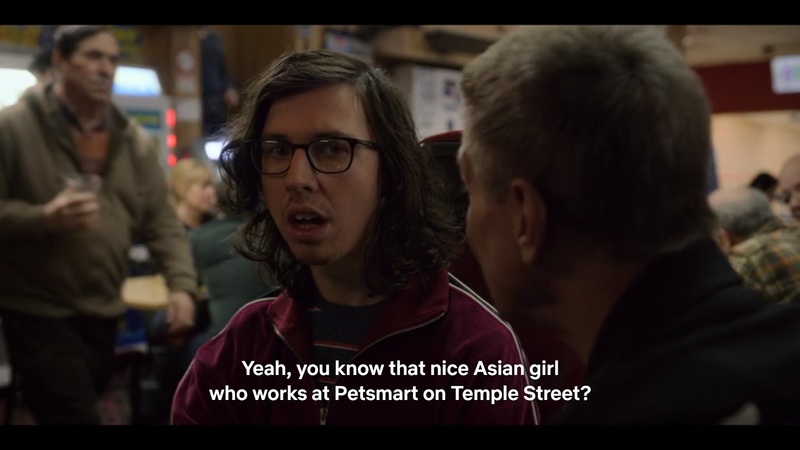 Tony Caruso Sr.: Yeah, you know that nice Asian nice girl who works at Petsmart on Temple’s Street? Tony Caruso Sr.: Well, you knocked her up. 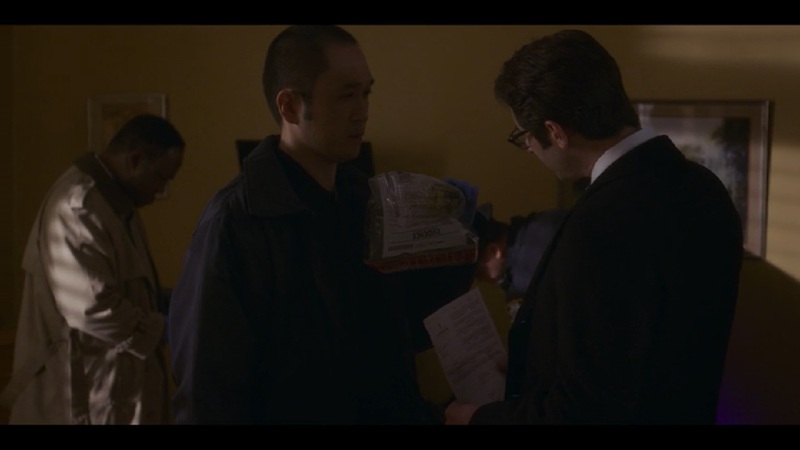 Ryan: Have you heard of Lance Armstrong, Mr. Caruso? Monica Barbaro’s Detective Cora Vasquez and Isiah Whitlock Jr.’s Sergeant Burl Loomis provides Latin American representation and African-American representation to this fictional NYPD unit, but Asian men are only present as silent cops or forensic investigators. 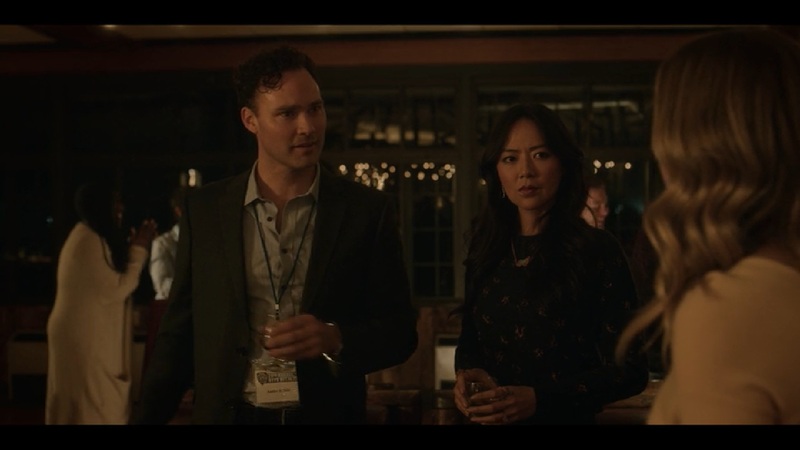 In episode seven (“Who Killed the Guy on the Ski Lift?”), an Asian American woman finally appears on screen. Angel Pai plays the nameless “Attractive Woman” (according to IMDB) who abruptly realizes that the (white) man she is flirting with is actually married. 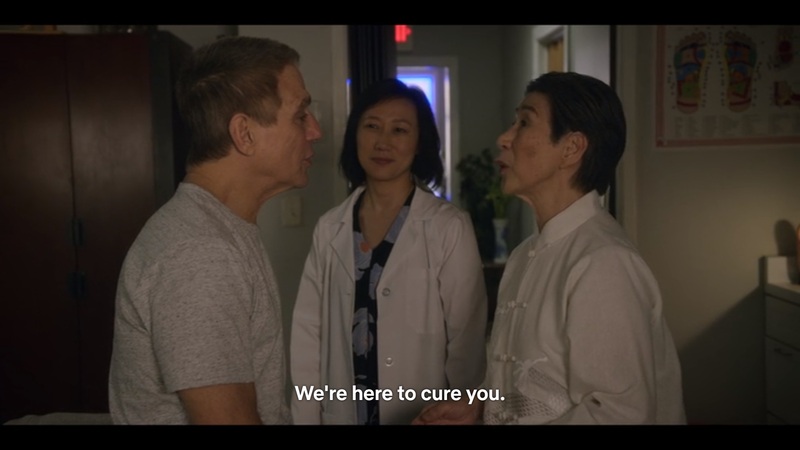 In episode 10 (“Who Cut Mrs. Ackroyd in Half?”), Tony Caruso Sr. flirts briefly with two Chinese female acupuncturists while waiting for the man who murdered his wife to arrive. 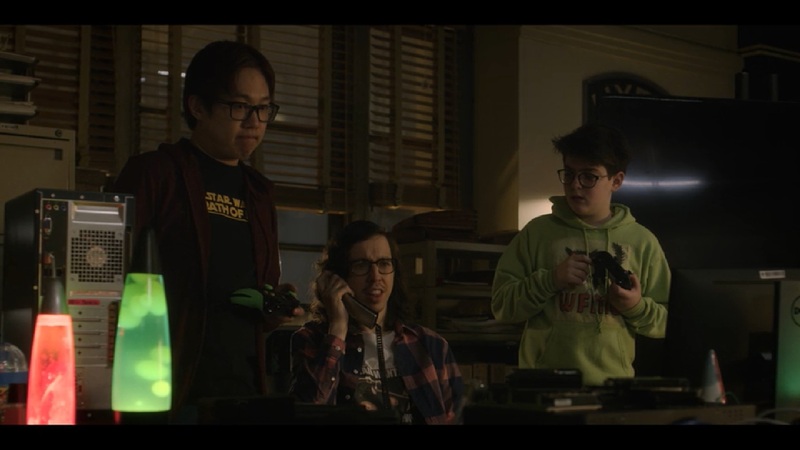 Episode 10 reveals that Ryan has an Asian video gaming buddy.